Cranberry contains a wide variety of powerful phytochemicals that promote wellness, can prevent certain acute infections. 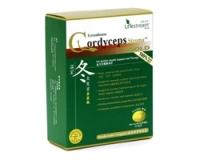 It is an excellent natural remedy to help maintain a healthy urinary tract. 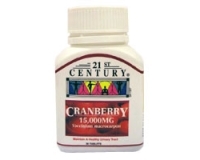 21st Century has formulated the benefits of Cranberry juice in a convenient tablet. Take one table daily with meal or as prescribed by a physician. Consult your doctor regarding the use of this product during pregnancy, with infants or with prescription drugs.